Florence, city of art and culture has another treasure at its door steps – Designer Outlets. 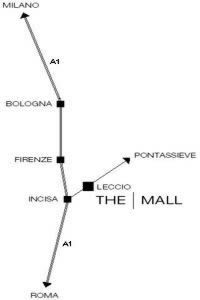 To the north you have the McArthur Glen’s Barberino Designer Outlet and to the South there is The Mall. ATAF Line 29 direction Ingromarket via Jacopo da Diaceto. Get off the bus at bus stop Volturno in via. From the A1 Motorway – Keep driving until you reach the junction “Firenze Nord”, then follow in the direction of Florence and exit at “Sesto Fiorentino”. Roberto Cavalli Factory outlet is immediately visible on the right side of the street. From Florence – Take the A11 Motorway, then leave at “Sesto Fiorentino”. Follow the signs for “Osmannoro”. After the underpass, The outlet is immediate visible on the right side of the street.